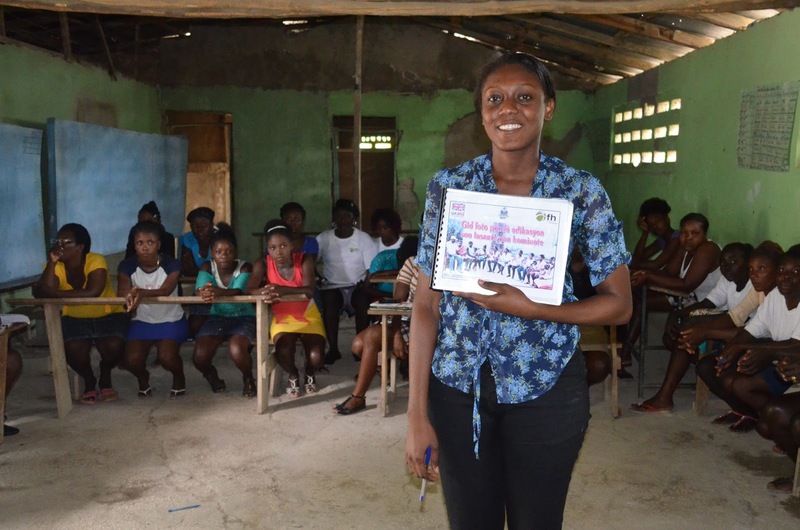 FH HEALTH SPECIALIST, THAMARRE, TEACHES WEEKLY HEALTH LESSONS TO LEADER MOTHERS. ALONE WE ARE VULNERABLE, HELPLESS, AFRAID. TOGETHER WE ARE STRONG, EQUIPPED, AND CONFIDENT. The moment a woman becomes a mother, her entire orientation shifts. Suddenly, she is responsible for the sustaining of another human life. It is a sacred trust, an ancient practice, an unparalleled challenge. Imagine the fear that could so easily overwhelm if you found yourself pregnant only to realize that you had no idea how to take care of your baby. Imagine there is no library full of baby books, no partner to help you weather these uncharted waters. Thousands of women in Haiti daily face this frightening scenario. That’s why Food for the Hungry (FH) is training up Leader Mothers in the community of Cachiman. These bold women are changing the culture of isolation, fear, and powerlessness, into a culture of solidarity, confidence, and knowledge. FH Canada Director of Philanthropy, Carissa Youssef, visited a group of Leader Mothers in 2016. After her return from Haiti, we sat down with her to find out just what kind of impact these women are having. “[When I was in Haiti] it struck me how fortunate we are in Canada to have access to all the health information we need. The moment a woman even considers getting pregnant, everyone is there to give her advice - doctors, nurses, friends, our mothers, even Google - we get so much advice it can be a little overwhelming! But in many communities, best practices on child-raising simply aren’t passed down, which results in real fear for a lot of these young women. 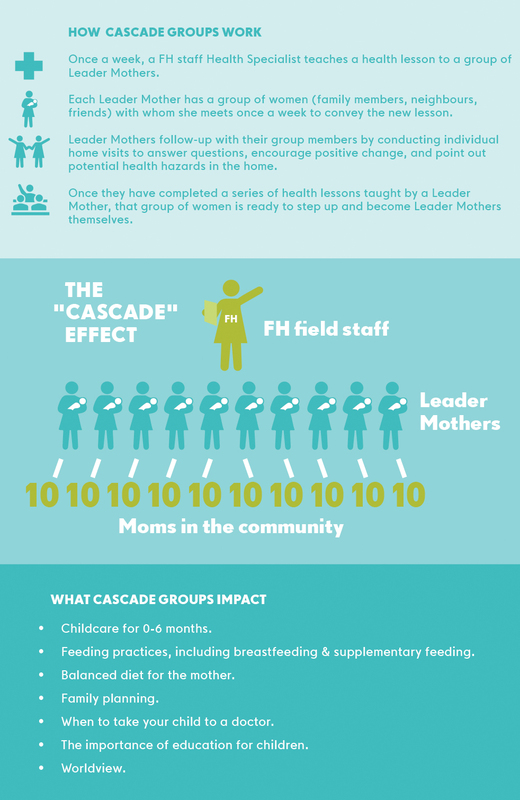 Leader Mothers invite other moms and neighbours to regular Cascade Group meetings to share health lessons, values lessons, and mothering advice. Many mothers in Haiti are not aware of what causes their children’s illnesses, or equipped to help them when they get sick. For example, it’s common in Haiti for family livestock to come into the home, causing unsanitary conditions for small children. Many mothers also don’t know that it’s best for their baby to only have breast milk until six months, leading to malnutrition in young children. Leader Mothers tackle practices like these, and many others, in Cascade Group meetings. They take the inexperience, the no-fault ignorance of other moms and transform it into life-saving knowledge. 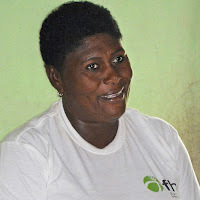 Every Thursday, the local FH Health Specialist, Thamarre Jean Pierre, visits the Leader Mother group in Cachiman to work through a flip chart featuring visuals that teach that week’s health lesson. The practical advice she shares is complemented with emotional, social, and spiritual applications. Cascade groups seek to nurture every part of a woman’s health, not just her physical needs. The role of FH staff and Leader Mothers is to walk alongside these overwhelmed moms, with all the odds stacked against them, and to equip them to be the best mothers they can be. That becomes especially meaningful when you consider the array of women who attend the meetings - teens, grandmas, pretty much all female neighbours. “I asked why there were so many of the community’s teens at the meeting and found out that most of them were already mothers. Carissa passionately interjects. “Girls have to know they deserve to finish school and have healthy families because they have intrinsic value from God." CARISSA VISITS WITH SPONSORED CHILD, KATTIE. To get their messages across to such a diverse group of women, Leader Mothers are quite creative. In addition to colour flip charts, the women teach through song, role playing, and skits. “I thoroughly enjoyed the heart they put into it! Their love for their jobs and their community was definitely evident.” In addition, the women often wear T-shirts that advertise health tips on the back - they’re serious about these messages getting out! “It was their commitment to each other that impressed me most,” Carissa reflects.